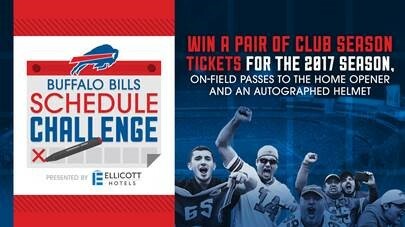 Each year, the Buffalo Bills Schedule Challenge, presented by Ellicott Hotels, offers Bills fans an opportunity to share their thoughts on the upcoming season. With the 2017 Schedule Challenge well underway, thousands of Bills supporters have already joined in on the fun. In a recent appearance on The John Murphy Show, Bills Wall of Famer Steve Tasker also jumped into the conversation. How do your answers stack up against the competition? Take the quiz now to find out! The Schedule Challenge ends on Friday, March 31 at 11:59 p.m.
It’s not likely to be buzzing with activity, but the Bills draft room will be fully staffed and operational Thursday night, even though the Bills do not have a first round draft pick. GM Doug Whaley says Buffalo’s draft room will not have the usual urgency, without a first rounder in play, but the Bills will be following the first round closely. The Bills first pick in the draft is scheduled to be the 50th overall pick, in the second round Friday night. Whaley was asked if he anticipates a run on any position groups during tonight’s first round. It’s very likely the Bills will be little more than spectators tonight in the first round of the NFL Draft. And if GM Doug Whaley has his way, the team may wait even longer Friday night before making its’ first selection. Whaley says the Bills would like to trade down from their spot in the second round (50th overall) and pick up some extra draft picks. And the Bills GM says he’s already discussed the possibility with other potential trade partners. In his second draft as the Bills GM, Whaley says the Bills have reached out to other NFL clubs and let them know they are open for business. The entire interview with GM Doug Whaley will air tonight at 7pm on The John Murphy Show. Bills QB Thad Lewis is back on campus at his alma mater today (Wednesday). Lewis has been working out and training with his former college coaches at Duke most of the offseason where he played for the Blue Devils and head coach David Cutcliffe. He tweeted out a photo of himself with Cutcliffe and his former OC Scottie Montgomery. The John Murphy Show had Cutcliffe on the show this past season to talk about Thad Lewis when he had him as a player at Duke. The Bills new Defensive End has more than a Super Bowl ring on his finger to remember his appearance in the big game. Jarius Wynn has a son who was born hours before Super Bowl XLV. When he was a member of the Green Bay Packers, Wynn and his wife were having dinner in Dallas the night before the big game. Martavia Wynn game birth to a seven pound, four ounce baby boy early on the morning on February 6th, 2011 in Dallas. Jarius says he barely had time to kiss his son before he had to rejoin the Packers at their game-day hotel. His teammates were right. The Packers beat the Pittsburgh Steelers 31-25 in that game. Operating on about 90-minutes of sleep, Wynn played on special teams and got in for three defensive snaps in Super Bowl XLV. Expert advice for your fantasy team? He’s may not be a fantasy football expert, but he plays one on TV. Tonight on The John Murphy Show, actor/comedian Steve Rannazzisi joins us as he prepares for a three-day engagement at Buffalo’s Helium Comedy Club. He plays Kevin MacArthur in the hit FXX TV show “The League.” In the show, Kevin is the former League Commissioner who is the first one in his group of fantasy players to get married and have a kid. 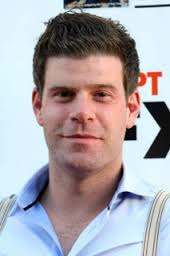 We’ll get some fantasy football tips from Rannazzisi at 830pm. Also on the show, former Bills LB Shane Conlan joins us at 730pm to talk about his new job with the Arena Football League’s Pittsburgh Power. Conlan has lived in Pittsburgh since his playing days ended and he’s found a way to mesh his love of football into his extensive experience in the business world. And Bills Special Teams Coordinator Danny Crossman stops by at 8pm to discuss the recent additions to the roster (Corey Graham, Anthony Dixon) and how they can help upgrade the Bills special teams. As usual, phone calls from fans are encouraged. The John Murphy Show airs from 7pm-9pm tonight on the flagship station of the Buffalo Bills, WGR Sportsradio 550. The NFL has already slightly expanded the instant replay rule this week, by voting to use the league’s Officiating Command Center to consult with on-field officials during replay reviews. If Buffalo Bills Head Coach Doug Marrone had his way, the replay rule would be expanded even more. He things coaches should be able to challenge any call on the field. “Whether you have two challenges, three challenges, to protect your team, put it upon the coach, so he has the right to challenge anything,” Marrone said Tuesday at the NFL Owners Meeting in Orlando. Marrone made the comments in an appearance on The John Murphy Show podcast from the NFL meetings. The entire interview will air tonight. The New England Patriots have proposed a replay system that would allow coaches to challenge any official’s call, except on scoring plays. That proposal is not expected to get much traction this week at the meetings. There may not be a revolutionary revision of NFL playing rules this week at the owners meetings in Orlando, but there already are some changes. After meeting Tuesday morning, NFL teams voted to adopt two rules changes. One proposal extends protection of “roll-up blocks” from behind to include such blocks from the side. The other change adopted allows the on-field official to be in contact with the Officiating Command Center in New York for every instant replay review. Bills Head Coach Doug Marrone says as a former offensive lineman, and offensive line coach in the league, he is strongly in favor of the roll-up block rule. NFL teams also approved use of a limited centralized replay review system, with Vice President of Officiating Dean Blandino and his staff consulting with the on-field officials during reviews. The entire interview with Bills Head Coach Doug Marrone will be aired tonight on The John Murphy Show podcast. The NFL’s top officials are gathered in Orlando this week for the owners meetings. But the recent health setback to Bills Hall of Fame QB Jim Kelly is on the minds of many in the hallways and lobbies of the Ritz Carlton in Orlando. Kelly’s had a long standing relationship with Hall of Fame QB John Elway. They were both part of the legendary QB draft of 1983 and have remained friends for decades. Today at the owners meetings, Elway, the Denver Broncos General Manager and Executive Vice President of Football Operations, told us Kelly’s recent bout with cancer is tough for his friends to handle. Elway says Jim Kelly’s defining personality trait is his toughness, and that should serve him well in the weeks and months ahead. 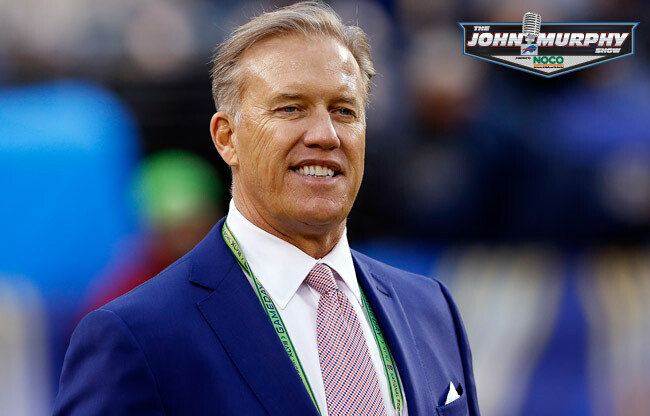 The brief interview with Hall of Fame QB John Elway will be part of The John Murphy Show from the NFL Owners meetings in Orlando, tonight from 7-9pm on the flagship station of the Buffalo Bills, WGR Sportsradio 550. It’s the Super Bowl of lobby watching–day one of the NFL Owners Meetings in Orlando, Florida. BuffaloBills.com is here with complete coverage of the three day event and we’ll be broadcasting The John Murphy Show live from the meetings tonight and Wednesday night. NFL personnel have gathered in the Ritz Carlton Grande Lakes Hotel in Orlando for day one of the sessions. The entire group, coaches, GMs, and top level club executives, held a meeting in one ballroom at 830 Monday morning, and then the group broke up around 10am. Head Coaches, GMs, and other football personnel went to a Football Operations session at mid morning. Later today, the NFL Competition Committee, chaired by Rich McKay, will hold a news conference to discuss some of the propsals on the table. The Bills are represented here by President and CEO Russ Brandon, General Manager Doug Whaley, the club’s Executive Vice President for Strategic Planning, Mary Owen, the Senior Vice President of Football Administration, Jim Overdorf, and Head Coach Doug Marrone. As of noon on Monday, the media gathered here at the Ritz Carlton have spent the day loitering outside the meeting rooms, taking video and pictures of NFL luminaries going from meeting room to meeting room, and waiting for the morning meetings to recess so that we can talk to the principals. We expect things to pick up shortly. It’s pretty bleak in Orchard Park, with blowing snow and steady accumulation. The John Murphy Show has been cancelled for tonight (Wednesday March 12) because of the weather. We’ll be back with a podcast Thursday and we’ll have the latest on free agent moves by the Bills and the rest of the NFL. We also hope to check in with the newest Bill-OL Chris Williams. On Friday, we’re back live on the air with a two hour radio show from 7-9pm. As always, you can listen to individual interviews and complete versions of the show at buffalobills.com/johnmurphyshow. One of the most astute General Managers in recent NFL history says he would have no problem, if he ran the Buffalo Bills, using the franchise tag for a second year on Safety Jairus Byrd. Bill Polian there’s no stigma about re-tagging a player for a second year. He made the comments Monday night, in an appearance on The John Murphy Show. Polian is a strong proponent of setting specific priorities for a team’s personnel when it comes to spending in free agency. And the value, he believes, is largely a factor of what position is involved. Prioritization is critical in setting a team salary structure, Polian says. He’s a six-time winner of the NFL’s Executive of the Year Award. Without setting a pecking order for paying different positions, he says team’s could eventually not be able to pay their most important players. After fifty years dealing with NFL personnel, former Cowboys exec Gil Brandt knows how to evaluate players. And he believes Bills QB EJ Manuel is going to make it. “Manuel is a guy that’s going to get it done,” Brandt said Friday at the NFL Scouting Combine. He was a guest on The John Murphy Show from the combine in Indianapolis. Brandt says he made the decision to invite Manuel to New York for the first night of the draft last year, when others thought the QB would not be chosen in the first round. Host John Murphy asked Brant where Manuel would stack up among the quarterbacks available in this year’s draft, a class that includes stars like Johnny Manziel and Teddy Bridgewater. Gil Brandt has been around the NFL for more than fifty years and he’s a familiar figure again this year at the NFL Scouting Combine. And Brandt absolutely loves the Bills hiring of former Lions Coach Jim Schwartz as their new Defensive Coordinator. “I think they got the first choice in the draft, really,” Brandt says. He was a guest Friday night on The John Murphy Show at the combine. There’s been some speculation that the Bills might overhaul their defensive scheme next season as they transition from Mike Pettine’s defense to Schwartz”s. Not a problem, according to Brandt. Now in his second year as General Manager of the San Diego Chargers, and in his 20th year in the NFL, Western New York native Tom Telesco should feel comfortable around the NFL Scouting Combine. And as he looks at the group of players assembled in Indianapolis, Telesco says one position group stands out. “I’d say the receiver group is really strong, that’s probably one of the better groups,” Telesco said Friday night in an appearance on The John Murphy Show from the combine. Overall, Telesco says the inclusion of more than 100-underclassmen in this year’s draft class means the pool of talent is as strong as it’s been in years. For Telesco, a product of St. Francis High School in Athol Springs (N.Y.), having that much talent means there’s pressure to produce in the draft. “You’ve got to find a player in every round, not just the first round, so we have some work to do,” he said. It’s another step up the coaching ladder for former Bills QB Frank Reich in his coaching career. And according to Chargers General Manager Tom Telesco, it’s a move years in the making. Last month, Reich was named San Diego’s Offensive Coordinator, replacing Ken Whisenhunt, who left to coach the Titans. And Chargers GM Tom Telesco says he anticipated Reich’s move to the top offensive post for years. “We knew with Ken Whisenhunt that if we had some success this year, there was a good chance he may move on for a head coaching job,” Telesco said Friday night on The John Murphy Show from the NFL Combine. “We had Frank waiting in the wings and having him go through the process with Phillip (Rivers) and kinda grooming him for that Offensive Coordinator role. I’ve known Frank for years back when he was with Buffalo. He was a player in Carolina when I worked there and he was a coach in Indianapolis when I worked there. I’ve always thought Frank was a future coordinator at some point and now is his time” Telesco said. Telesco watched Reich as a player 20-years ago, when Reich backed up Jim Kelly at the Bills quarterback position. Telesco, a Western New York native, was a training camp intern with the Bills at Fredonia. He had a 13-year playing career in the NFL. Pepper Johnson won two Super Bowls with the New York Giants at linebacker, and he was a Pro Bowl performer two times. Yet all the time, Johnson knew that he wanted to be a coach. The Bills new Defensive Line Coach says he started thinking about coaching when he was attending Ohio State University, but he thought about coaching at a much lower level. Johnson was a guest Tuesday night on The John Murphy Show. He said as he made his way through the NFL as a player, he made a point of talking to teammates and opponents about coaching points. Instead, Johnson got to work with his former Coach, Bill Belichick, in training camp one summer. And Belichick saw to it that Johnson never left the team. Stay he did. Johnson just wrapped up a 14-year coaching stint with New England, before signing on to coach the Bills Defensive Line last week. The new Defensive Line Coach for the Buffalo Bills got his first taste of the NFL from one of the master motivators in the history of the game. Pepper Johnson, named last Friday to the DL post with the Bills, was a 2nd round draft pick of the New York Giants in 1986. His first head coach–Bill Parcells. In an appearance on The John Murphy Show Tuesday night, Pepper Johnson described his first ever team meeting with Parcells and the Giants in 1986. Johnson told host John Murphy Parcells first speech left a big impression on Giants rookies that year. “You felt like any bad move you might get cut and left high and dry, and I started running,” he said. Pepper Johnson has spent the last 14-years with the New England Patriots, as a Defensive Line and Linebacker coach. He was asked if Parcells hard-nosed, no-nonsense approach would work with today’s NFL players. It’s a big move for Pepper Johnson. The Bills new Defensive Line Coach made the switch to Buffalo after 14-seasons on the coaching staff of their biggest rival-the New England Patriots. In an appearance on The John Murphy Show Tuesday night, Johnson said he made the move to get out from under the shadow of Patriots Head Coach Bill Belichick. Johnson said he was comfortable in New England, and still pinching himself after a couple of days on the job in Orchard Park. Johnson moved around the Patriots defensive coaching staff during his 14-years there, coaching both linebackers and defensive line. He spent the last two seasons working with New England’s linebackers, the position he played in the NFL. He told host John Murphy it’s all an effort to continue to grow as a coach. Pepper Johnson does not hide his ambition to move up. And it’s been speculated in Boston that his move to Buffalo may be his attempt to set himself up for a defensive coordinator’s position in the NFL. Johnson says that would appeal to him. Steve Tasker made his living on special teams, during his Wall of Fame career with the Buffalo Bills. But he also played wide receiver. And Tasker says teammate Andre Reed, elected to the Pro Football Hall of Fame on Saturday, changed the way the receiver position was played during his career. Tasker was a guest Monday night on The John Murphy Show, and he talked about Reed’s career and how he helped the WR position evolve. Tasker says Reed’s performance over the years opened eyes all over the league as to the potential production that could come out of the slot WR spot. “He played Wes Welker’s spot ten years before Welker was in the league, and he made a living doing it,” Tasker told host John Murphy.